The staff at LMA are selected not only for their teaching and performance experience, but also for their ability to communicate with young people. Therefore offering a secure and stable environment in which the students can nurture their creativity. Louisa Kennedy is a graduate of the Royal Academy of Music, specialising in Piano Performance and 2nd study Composition. Her first solo recital was given at the age of 14 and she has since played extensively as a soloist and accompanist at many notable venues nationwide, including the Royal Albert Hall, St. Martins in the Fields and the British Musicians Institute. She has worked as a professional dance repetitieur for the Royal Opera House, London Studio Centre, Pineapple Studios and for Oliver Stone Films. Since 2004 she has led the Music Curriculum at Sir George Monoux College, delivering A Level Music, Music BTEC, Performance Studies and Rock School Vocals. Louisa is an experienced Musical Director, and has conducted a number of productions, such as ‘Miss Saigon’, ‘West Side Story' and ‘Chicago’. She is a trained vocal tutor and performance specialist for singers. 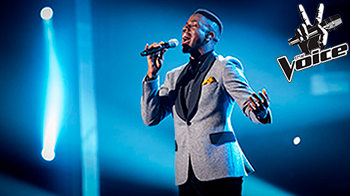 Many of her ex-students now enjoy successful careers in the Music and Theatre Industry; among her prominent students is Jermain Jackman, who became winner of 'BBC The Voice 2014'. As a teacher she seeks to inspire and motivate, and holds a positive rapport with all age groups. Louisa was recently nominated for the prestigious 'FE Teacher of the Year' award.